The Shaolin monks of the early twentieth century Chinese Republic were highly skilled practitioners of the martial arts. Brothers of charitable mercy, they believed in turning the other cheek. However, they could only be pushed so far, as one power mad warlord learns in Benny Chan’s Shaolin (trailer here), which opens this Friday in New York. When Hou Jie’s vanquished rival took refuge in the Shaolin monastery, the warlord went in after him. Hou Jie’s hubris told him he was on the brink permanently consolidating his control over the region, but karma will say otherwise. Expecting to betray a key ally at the dinner celebrating their young children’s arranged marriage, Hou Jie finds himself triple-crossed by his lieutenant, Cao Man. Escaping with his life, the fallen warlord finds sanctuary with the very monks he so lately dissed. Mourning his daughter, Hou Jie shaves his head, finding solace in the life of a novice. Of course, his former “little brother” is still out for his head, but Cao Man is also busy colluding with the evil westerners, using up and discarding desperate workers in their malevolent public works projects, which at least have the merit of being “shovel-ready.” A spectacular showdown is inevitable, especially considering the monks Robin Hood relief work. A richly detailed period production, Yee Chung-man’s design team meticulously recreated the imposing Shaolin Temple on Mount Song, for the express purpose of watching it all eventually come crashing down. In fact, the audience is so thoroughly immersed in the ancient sets, it is difficult to get an accurate bead on the film’s exact timeframe. Action director Corey Yuen (who served a similar role on little films like The Expendables, X-Men, and Red Cliff) choreographs some impressive fight sequences, including both the sweeping macro battles and the hand-to-hand combat at the micro level. It is also entertaining to see Jackie Chan as Wu Dai, the Shaolin cook, still mixing it up, but in ways appropriate to his advancing age and battered body. His big fight scene is arguably more closely akin to the work of Jacques Tati than Bruce Lee. Wu Jing however, is all business as senior brother Jing Neng. 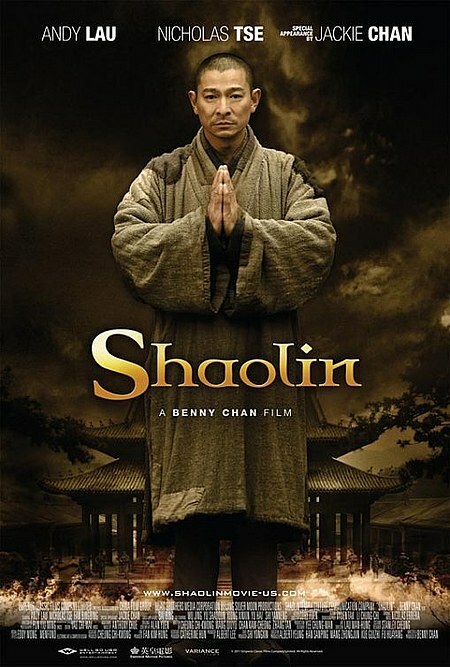 Looking his nearly fifty years as well (particularly when sporting the Picardian look), Andy Lau is appropriately intense as Hou Jie, convincingly handling the action sequences as well as his characters transition to Zen-like resignation, if not full enlightenment. 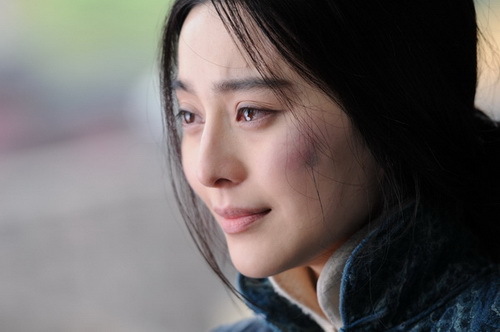 As an added bonus, Fan Bingbing is as radiant as ever portraying his grieving wife Yan Xi. Aside from the clichéd white devil imperialist villain (an already tired convention of Chinese popular film), Shaolin is quite a rich martial arts morality play. Frankly, it is refreshing to see a film with genuine respect for religious service that also takes themes of redemption profoundly seriously. It also delivers ample spectacle and a generous supply of beat-downs. Enthusiastically recommended, Shaolin opens this Friday (9/9) in New York at the Cinema Village and in Colorado at the Denver Film Center/Colfax.